We as consumers like to think that we’re above marketing tricks. We’re savvier than when we were shopping 10 years ago. We use tools like price-comparison apps and budget-prompted push notifications to help us shop better. Use consumer psychology to your business’ advantage. This doesn’t mean you use evil tactics to deceive your customers. Consumer psychology is all about knowing your customer’s buying habits. It’s useful for automatic processes (e.g. sending an automated email to a potential customer if they left a shopping cart without purchasing) or even for knowing where to place your call-to-action buttons on your website. Before we even get started on psychology, make sure your Facebook Business Page has been set up with all the necessary basics. 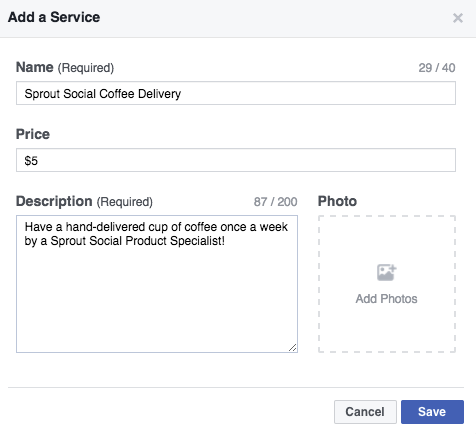 Are your products or services easily purchasable on your Facebook Page? Are your virtual stores linked? For example, if you use Shopify for your website ecommerce solution, is it synced with your Facebook Store? Do you have a customer service plan in place? Is it easy to contact you as a customer? Amazon offers a variety of Kindle models. 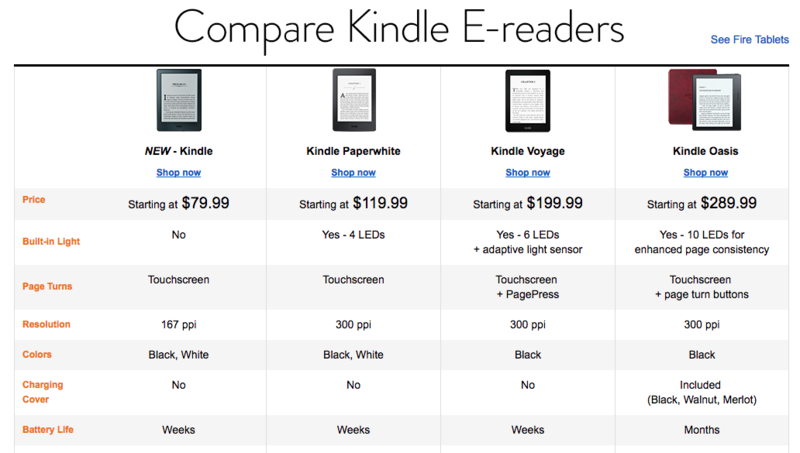 At first glance, you see four models on their Kindle E-reader page ranging from $79.99–$289.99. If the lowest-priced Kindle was presented by itself, you would think that $79.99 is a high price for an e-reader. But since the high-priced Kindle Oasis is present, all the other options seem like a bargain. The anchoring bias shows up most often on a pricing page. When presented with a pricing table, you lock onto the first price you see. This is often the most expensive option. With the pricing options presented next to each other, you begin to comparison shop. If you offer a service, identify your best selling service. Next to the bestselling service’s price point, place one service that is below the price point and another that is above the price point. 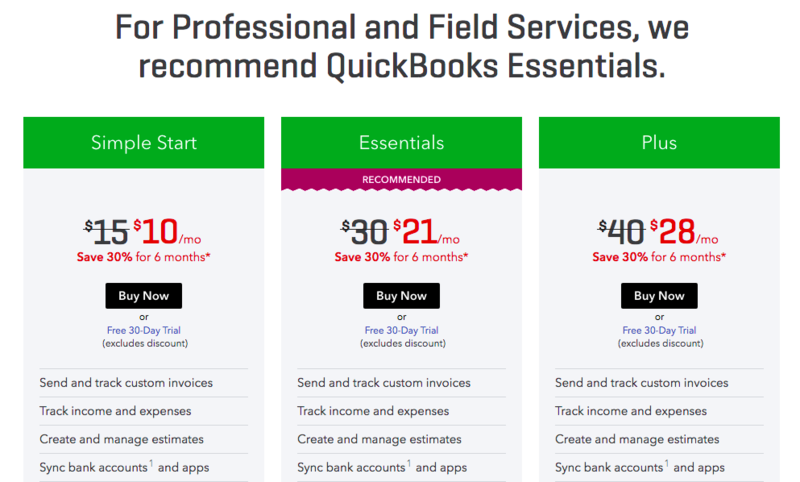 An example of this in use in a pricing page is QuickBooks’ pricing page for one of their products. Note how the pricing table centers their best-selling service and even highlights it for you. Your attention is naturally drawn to the middle of the page, which also happens to be the mid-priced option. To have a similar pricing model for your Facebook Page, make sure your Page Category is correct. If you offer a service, the Services tab will be available to you. 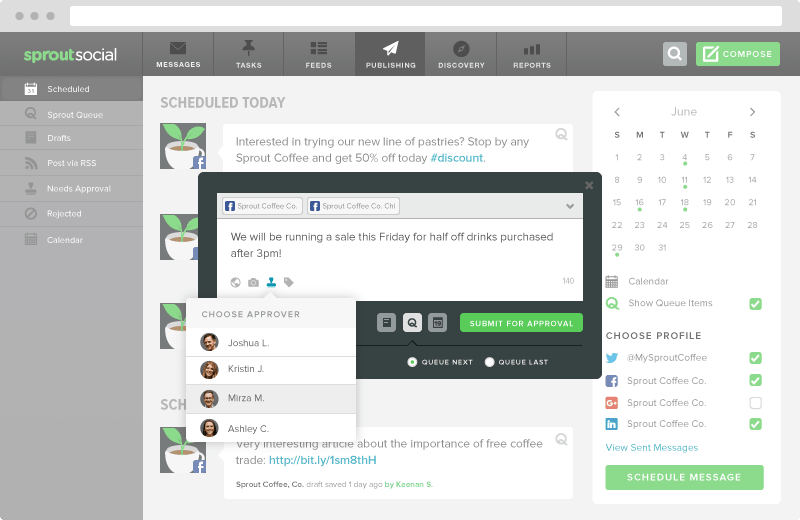 There you have the ability to set up the Services tab just like you would for your pricing page. Simply add photos or set different levels (e.g. Gold, Silver and Bronze) to help the customer pick out your recommended service. In essence, the customer is like Goldilocks: your best-selling service shouldn’t be too expensive and not too cheap. If you have a product-centric company, such as Everpurse’s selection of various purses, arrange products so the highest price is either first or paired with the most attractive photo. You want to have that product be the first a customer sees when they look at your Page. Remember: Use anchoring bias to your advantage by placing comparable items around the one you really want to sell. We have seen the advertisements: “One-day flash sale! All items are 50% off!” Despite not needing the product, you lock onto the idea that you’re getting a great deal so you must have it now. This is irresistible. Hyperbolic discounting makes you want items now instead of later. Even if it is cheaper to wait. Using this bias for selling on Facebook is easy if your company does not run frequent sales. When you’ve built up enough of a fan base on Facebook with a high engagement rate, you can create flash deals. Takeaway: Grab the customer’s attention by discounting at an unexpected time. The science behind a viral post rests on your knee-jerk emotional reaction to it. The more extreme your emotional reaction is to your post, the more likely you’ll share it. And the more often you share posts to the right audience, the more likely you’ll see that translate into sales. 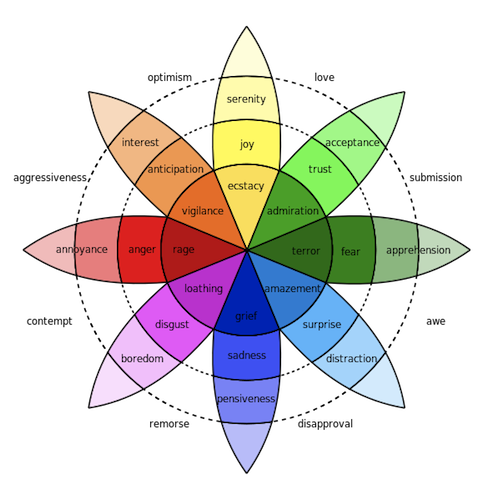 In psychologist Robert Plutchik’s wheel of emotions concept, he identified the emotions that drive our sharing behavior. The inner circle denotes the eight emotions to think about when creating content. For link-based content, appeal to the emotional side of your audience by changing up the headlines. Even if your blog post has one headline, it’s still possible to post the link multiple times with various headline tweaks. Why this works: In providing more detail from the article, you become amazed at how remarkable this feat of strength and dedication to this woman’s pet. Link-based content should also have attractive photos in place. Sometimes, the photos are all you need to prompt a share. Takeaway: Aim to create an emotional connection with your audience through your Facebook posts. Instead of using marketing terms that sell to the customer, talk with the customer. Storytelling might be the newest marketing buzzword, but having a compelling story behind your company will help you sell your products. How does this come into play for your company? First, you need to identify your own company’s story. The entrepreneurial story of how ClassPass’s founder came about is a compelling one. She was mugged while waiting for a meeting and realized she wasn’t able to defend herself. The incident kicked off her desire to learn defense skills, but building the company wasn’t without its own blockers. She failed twice before landing on a successful pricing model. On Facebook, use videos and photos to share stories about your products or services. One of the best companies for brand storytelling is Nike. Without having blatant product placement in their videos, they share the strength of athletes and the obstacles they have to battle to reach their goals. Conclusion: Tell a great story with an emotional connection to the reader. With the exception of luxury goods companies, use this to your advantage by showcasing the time or experience the customer will have with your product. 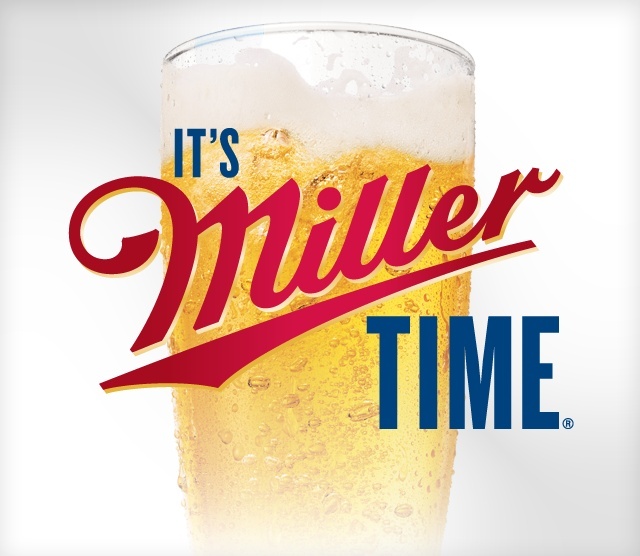 A classic example of this in action is Miller’s slogan, “It’s Miller Time.” Instead of reminding customers that they’ll be paying for their drink, the company reframes their product as an experience. When you’re posting about your products on Facebook, try and avoid mentions of prices. Instead, use storytelling tactics to show how the customer is buying into an entire experience. Patagonia sells clothing but they also sell an experience. Their Facebook Page is filled with stories of great adventures, illustrated by videos and photos. Takeaway: Reframe your products to showcase how they would be used. Would you rather see a photo of a product or a photo of it being used? Selling on Facebook takes time and effort by your marketing and social media team. To track your marketing campaigns on Facebook, use Sprout Social’s Facebook management tools to simplify your social inbox with message tagging capabilities. Additionally, Sprout allows you measure and gauge your Facebook engagement data to know what selling techniques work best with your brand. Marketers shouldn’t be afraid to tackle selling on Facebook. And with the right mindset and plan of action with your customers, you can use the platform to increase sales.